A deeply intense, dramatic and harrowing singer, Edith Piaf - known as 'The Little Sparrow' - was France's biggest star for nearly thirty years from the mid 30s to her untimely demise in 1963, aged just 47. 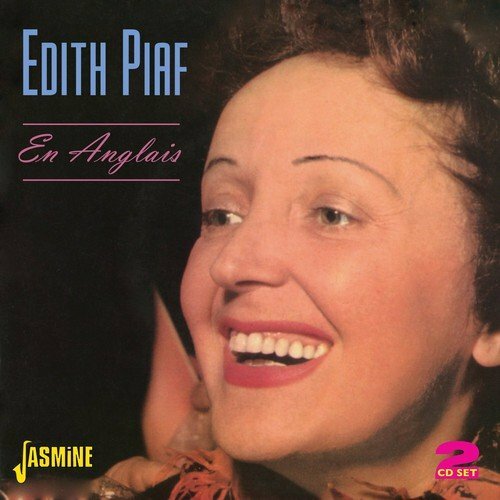 This unique compilation includes all of Piaf's known surviving English language recordings. Most of her major songs are featured, notably "Hymn To Love,(Hymne A L'Amour)", "La Vie En Rose", "The Three Bells (Les Trois Cloches)", "Autumn Leaves (Les Feuilles Mortes)", "My God (Mon Dieu)", "No Regrets (Non Je Ne Regrette Rien)", "Heureuse" and more! Disc one comprises studio sides, recorded between 1950-1961 whilst on disc two we are treated to wonderful live recordings from two memorable concerts at New York's prestigious Carnegie Hall in January 1956 and January 1957. Greatly improved sound quality on many of these recordings. If you have any questions about this product by Piaf, Edith, contact us by completing and submitting the form below. If you are looking for a specif part number, please include it with your message.